Diabetes Holiday Eating Tips : Enjoy the Holidays Stress Free. The holidays are hard, especially if you are a diabetic. Managing blood sugar levels is a frequent thought throughout the holidays and what you can do to keep everything within target range. Diabetic holiday eating tips are easy to come by but hard to follow, we understand the temptation. 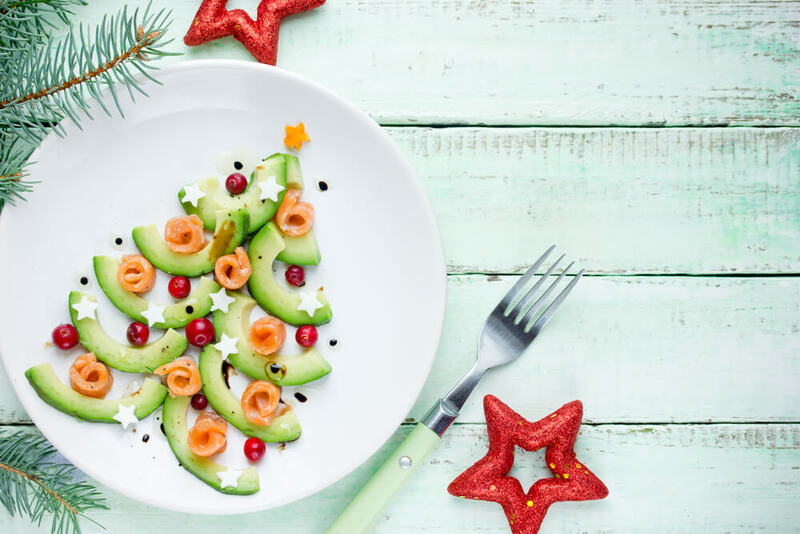 Healthy holiday eating for diabetes doesn’t have to be incredibly difficult, but it does take a bit of dedication and planning. Planning is a major part of our holiday tips for diabetics because it can help you make healthier choices while still enjoying your holiday. Here we’re going to give you a list of diabetes holiday eating tips to help your holidays be more stress free. Find more healthy eating tips for the holidays here! Before you start going to your family holiday parties, work parties, etc. begin to plan ahead. It’s important to know where you will be eating, if you’re eating out, and possible courses served at family gatherings. If you are able to find out beforehand the answers to these questions you can then begin to look at menus and meals and choose which options are lower in calories and carbohydrates that won’t make your blood sugar levels go up. If you’re going to a dinner at a family member’s house, ask what they are making and see if you can bring a healthy dish that fits your dietary preferences to share with everyone. Another one of the important diabetes holiday eating tips is to not skip meals. You may be too busy or may think that if you ate too large of a meal for lunch then you should skip your dinner, which is not the case. Skipping meals can have negative effects on your blood sugar levels, which is something that you don’t want! Planning snacks and meals during the holidays is one of the better holiday tips for diabetics because you always have the food you need with you, or prepared for when you have one of those busy days. Preparing your meals can also keep you on track with your dietary preferences so that you’re not eating unhealthy meals. Keep a bottle of water, or glass or water, with or around you at all times. Drinking water is important for your health, well-being and can help keep you full longer. Keeping you full longer can help you consume less calories, carbohydrates and ultimately less sugar. Staying hydrated allows you to stay on track, think less about food and keep your blood sugar levels within a target range. Watching the size of your portions, especially when at buffet style / serve yourself meals. The larger your portions, the more carbohydrates you are probably consuming which can lead to spikes in blood sugar levels. You can try using a smaller plate, or using your fist to measure the amount of protein, or to measure one cup of something. Staying active is another great tip in our holiday tips for diabetes. Although exercising goes against the grain in holiday tradition, adding more physical activity such as walks after meals can help you not only have more bonding time with your family but burn fat and get the blood moving. Dessert is one of the best parts of the holidays, but if you’re a diabetic planning ahead for the dessert you’re going to eat is important when it comes to holiday eating for diabetes. You can plan for your dessert by eating less carbs throughout the day and keeping your portion sizes low. When all else fails, confide in a friend or family member about how you would like your holiday planning to go and they can either join you or help you stay in line with your goals.